Poker players thousands of miles apart ignored the online poker action and came together to help save the life of one of the members of their regular poker game. As the player in difficulty typed her blood pressure into the PokerStars chat box, her opponents quickly recognised that it was dangerously low and urged her to seek medical attention. When the player’s increasingly sporadic messages stopped, her opponents contacted PokerStars support with the player’s user ID and an urgent request to find her location and alert the local emergency services. Thankfully, the player had managed to contact emergency services herself but the player credits her fellow PokerStars players for recognising the peril she was in and imploring her to seek help. PokerStars global social media campaign #raiseit, featuring four sporting heroes, has been a hit with fans around the world with its unique series of videos surpassing 158 million views on social media and www.nowraiseit.com. PokerStars launched its second #raiseit instalment in November with Team PokerStars SportStar Cristiano Ronaldo and Chicago Bulls player Dwyane Wade taking on the #raiseit battles. The pair’s videos, which saw the duo combine impressive trick shots and everyday tasks, has now surpassed 112 million views. The first instalment of #raiseit saw fellow Team PokerStars SportStar Neymar Jr and football legend Ronaldo Nazario take on various challenges. PokerStars Festival is making its debut in Rozvadov, Czech Republic, with a 12-day poker spectacle, running from today until March 13. An action-packed 37-event schedule leads with a flagship €500,000 guaranteed €1,100 Main Event. Players can satellite into PokerStars Festival Rozvadov from as little as €1.10 on PokerStars.com and PokerStars.eu. Qualifiers are running on PokerStars until March 5. The Deal jackpot was hit eight times this month, resulting in a total of $461,843 awarded to jackpot winners. The largest individual score was $108,103.72, which was won by user ‘Doc_JAJ’ with an additional 31,560 players winning a $3.42 share. The second highest prize was won by user ‘vlmikhaylov’ for $87,333.77, which awarded an extra 28,654 players a $3.04 pay-out. Since launch in December, there have been a total of 31 jackpot hits on The Deal making for more than $3.4 million paid out (more than $1.7 million to jackpot winners, more than $1.7 million in shared pay-outs). Austrian poker player ‘TheFan83’ banked $122,000 in the PokerStars Sunday Million after beating a field of 5,218 players. The total prize pool was a guarantee–beating $1,043,600. The player has played the Sunday Million most weeks for 10 years, he had always vowed to win the tournament – and on February 26, he achieved his goal. Episode number of this week’s Poker in the Ears podcast, which is now available to stream or download. This week James and Joe talk to Cate Hall and discuss her controversial comments and review her last year on the live poker circuit. PokerStars is on the hunt for two players to take on the elite in a live, televised cash game in Monte Carlo. To be in it to win it players should deposit $30 (€28/$24) or more with the code ‘CASHCHALLENGE’ to secure tickets to online qualifier freeroll tournaments that will run until March 5. Those who finish in the top 20 of these freerolls will advance to the casting stage where the search for the next stars of live poker will continue. 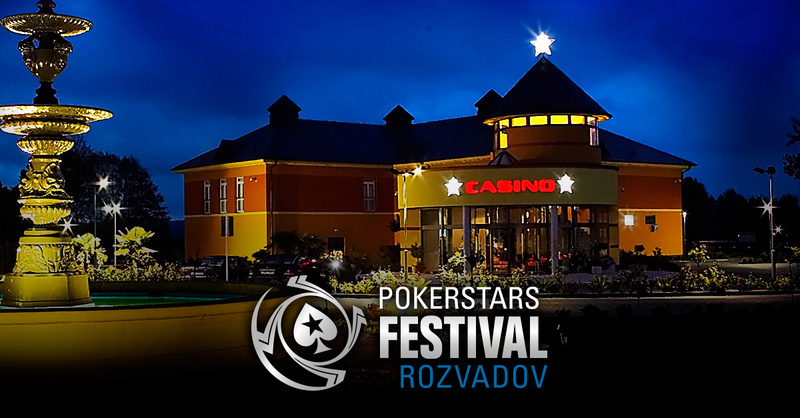 PokerStars Festival Rozvadov kicks off today at King’s Casino. PokerStars Festival heads to Panama. The event will be held at the Sortis Hotel, Spa and Casino and will run from March 10-20. Online satellites to PokerStars Championship Panama continuing to run for a further three days (until March 5) on PokerStars including a special $11 satellite running this Sunday which guarantees five packages worth more than $40,000 in total.